Courtesy of RZO Music, Inc.
A person may not have to see "Dogville" before they get to this film-- but it helps. Von Trier takes his time getting where he is going, laying tracks in plenty of directions, and if you are not familiar with his style and don't know that it will all end with a colossal crunch, you may feel bored or confused. Fear not, though-- this movie's climax and finish depend wholly on the build-up, and when they happen they are shattering. In a shorter movie with less nuance and fewer ideas presented, it would just be exploitation. Critics who say that Lars von Trier is just grinding an axe and that his views on America are unwelcome and inaccurate are missing the larger point. So far the two movies of his new trilogy seem to be seething with questions, not preaching answers. 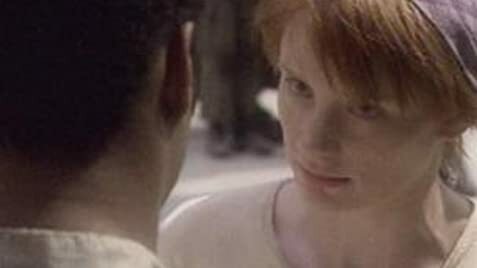 The spectrum of perspectives and philosophies presented make these movies themselves as experimental as the moral quests of Tom in "Dogville" and Grace in "Manderlay". We get to share initial outrage, labor for a solution, and then despair in how easily it all falls apart once human weakness and natural disaster are factored in. Adjusting to the change of casting takes a few moments, but then it just fits right in with the theatrical nature of these movies. Anyone who has seen a play performed with different casts knows that the two productions are weird cousins, and this can make actors shine in their individual gifts. I would have loved to see Nicole Kidman devour this role, but Howard's youth and vulnerability really add to the tenuous nature of her power over Manderlay and its dark secrets. I think it's lucky that von Trier is not an American. If an American director showed these images of oppression and slavery, he'd be reviled even moreso, especially if he were white. Americans demand "sensitivity" from movies about real issues, and violence and humiliation are really only safe subjects in horror films and art cinema. Sometimes it takes an outsider to show you what you look like to the world and remind you of the work you have left to do. This movie feels distinctly American in its woe and in it's heartsickness at good deeds gone not unpunished. Isn't change impossible? Haven't we given it our best shot already? 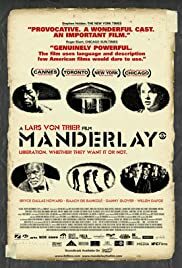 "Manderlay" agrees with us-- but urges us to keep trying.